Historical Value or Homeowner Rights? Michael Crow, sitting on the front steps of 2320 Colfax Avenue, details the history of his many lengthy back and heart surgeries. In June the Wedge reported the City Council’s decision to stop demolition of 2320 Colfax Avenue. Beginning as early as October, 2012 the story started with an initial proposal by the Lander Group to buy 2320 and 2316 Colfax, demolish the sites and build a new a 48-unit apartment building in their place. After a determination by the Minneapolis Historic Preservation Commission that the house merited historic preservation, the City Council upheld that decision on May 24, 2013. The owner of both properties, Michael Crow has recently come forward to allow the Wedge to interview him and get his background and viewpoint. WEDGE: What kind of a building is 2320 Colfax? CROW: It’s a 15 unit lodging house or rooming house. That’s what most people would call it. It’s been used as an old folks home or rooming house since sometime in the 1950s. WEDGE: Is there a reason that you are selling the properties? CROW: Yes. Over the last decade I have had major health issues. Two open heart surgeries and a back surgery and require a more serious back surgery that will make it impossible for me to ever be able to do the work that is required to run the rooming house. Rooming houses are much more labor intensive than other types of rentals. It’s very important to me not leave a mess for my family if something does happen to me. I think anybody could understand that, and I have tried to make everybody involved aware and asked for their help. WEDGE: What have been your biggest problems selling the buildings? CROW: From the beginning the old time neighbors, said they did not want the new apartment building. They said it would be the start of them tearing down all the old houses and building apartments, which could never happen. That’s why the City downzoned everything south of 24th Street years ago and left the north side of 24th street zoned R-6 because most of the buildings are apartments, rooming houses and businesses. When they ran out of any other way to stop it they used the historical angle. I even have an email from Kathy Kullberg, a neighborhood historical guru that said nothing about historic value, just that she wished that they would build homes or townhouse instead of an apartment building. WEDGE: Why did you decide to sell the property to a developer? CROW: I bought the two buildings together 22 years ago because of the zoning and extra land that they were on. Thinking that I or someone would want to develop the property someday, but was actually just trying to sell the rooming house and keep the other building to fix up and move in to. After I tried to sell them for five years with no success, the developer made the offer on both properties. There is not the demand that there once was for rooming houses, and the cost of doing anything else with it is astronomical. So its only real value is for development. And now after 22 years of paying the taxes and special assessments based on all the land, I’m told I can’t do what I always thought I had the right to do. 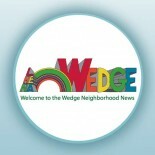 WEDGE: Up until now who have you contacted to make the community aware of your personal health issues? CROW: I have emailed letters with the history of my medical conditions to; Council Member Meg Tuthill (Tenth Ward), Council Member Gary Schiff (Ninth Ward), Nicole Curtis (host of DIY’s series Rehab Addict), Kathy Kullberg, Brian Finstad, Anders Christensen, Trilby Busch, Mayor Rybak’s Chief of Staff, and the LHENA Zoning Committee. In addition Kendal Killian and Ken Bradley, (previous Tenth Ward candidates) both met with me and viewed the building and discussed my situation. And also Lisa Bender, (Tenth Ward candidate) who has visited the building, does not understand why they are opposing it or not trying to get the most out of it for the neighborhood. WEDGE: Why have you waited this long to discuss your personal history with the Wedge newspaper? CROW: I was hoping that I would not have to tell my personal problems to the whole city. WEDGE: Did you know that the house had historical value? CROW: I knew that the house was built by T.P. Healy, but in all the years that I have owned it, the only thing that I was ever told about the house, was about a decade ago when the City sent someone out to inspect the building for historical value, and said because of the fire and all of the other changes on the building that it did not qualify for any historical rating. Even when the developer requested a copy of the City opinion, the city said it was not an historical resource. So they moved forward based on what the City had told them in writing. WEDGE: Why do you think the appeal went the way it did? CROW: I think because of it being an election year, it became political when it received as much publicity as it did. I’m one person against a national T.V. personality and a group of Tenth Ward old timers that are a couple clicks on a keyboard away from the people that they have organized over the recent years to do whatever they think is right for the neighborhood. I don’t think anything we would have said at the appeal would have made any difference because their minds were made up before it ever started. When Council Member Gary Schiff, (Ninth Ward) raised a handful of letters they had received about the historical value from this well organized group, that’s all that mattered to him and the rest of the Council Members on the appeal board. Anders Christensen may believe in what he’s doing, but it would be nice if he knew what he was talking about before he does something that affects another person life so dramatically. When he showed pictures to the appeal board and with his interview with Kare 11 news pointing out how wonderful the old limestone foundation is on the front of the building, all he would have had to do is look at his own picture of the original house and see that it is not part of the old building. The original front porch was wood frame. WEDGE: Where will you go from here? CROW: I need to try and get as much support from the people that live in Minneapolis, as possible. And ask them to put themselves in my shoes for a minute and have them email Gary Schiff and their council member. Not that they have to be for the apartment building, but against a person’s rights being taken away because of other peoples ideals or at least to compensate them for the financial damage they cause. The site could be be an upscale brownstone walkup apartment. Would you rather live by that or a 15 unit rooming house? I’d rather live by the apartment myself but I also know that rooming houses aren’t as bad as some people think. WEDGE: During the appeal Nicole Curtis and her contractor said that leaving the building where it’s at is the best green option, rather than putting it in a landfill? CROW: It’s a 15 unit rooming house that uses $18,000 a year in utilities. If they would have been allowed to build the original 49 unit–the first net zero building in Minnesota, that uses little or no utilities and could actually sell back energy to the utilities, what do you think would be the best long term option? By forcing the developer to make the changes that the neighborhood zoning committee wanted, we lost the net zero building. The rents went from $875 to $1,275 a month for a one bedroom–pricing-out hard working people that want to live in the area. Bruce Cochran is Editor of the Wedge newspaper and lives in Uptown. I find it a very sad situation for Mike Crow. 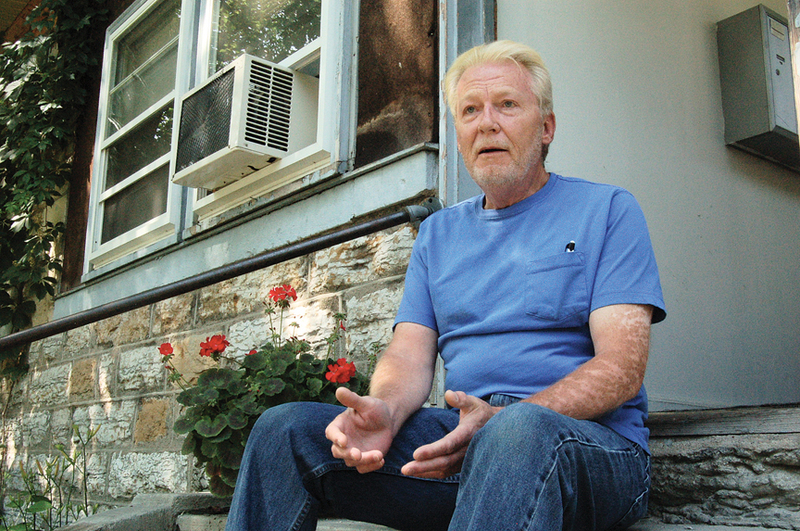 I’ve known him for a number of years, and there are just some people in the neighborhood – who really think they care about it, but are only padding their own resumes and have caused numerous problems for other neighborhood residents in the previous years – who will do anything in their power to get what they want. Unfortunately, some of them sit on the city council. Why don’t you city council members do something about your poorly maintained streets and sidewalks then give a longtime owner of the neighborhood a difficult time. I slipped and fell on the pavement and parking lot right behind the former Tuthill Balloon shop due to a poorly maintained area – in summer and winter. Over two years later, I still have problems, yet no one wanted to deal with that issue. But, the City Council of late pretty much ruined Minneapolis, and it all started with the animosity they displayed toward Lisa McDonald. I’m very glad I moved out of the area, for good. This entry was posted on July 12, 2013 by Wedge Neighborhood News in Housing in the Wedge, Wedge News and tagged 2320 Colfax, Anders Christensen, city council, development, Healy, Historic Preservation, Housing, Meg Tuthill, Michael Crow, Minneapolis, Nicole Curtis, Trilby Busch, Zoning, Zoning and Planning. This website will have all the news that's in our print paper. We start uploading stories soon after the paper gets finalized and goes to print at the beginning of each month. Check back often to find up to date info about what is happening in Lowry Hill East - The Wedge neighborhood, from a trusted non-profit news source.